The herbalist's shop is located besides the Abbey'main entrance. Inside you'll find a large choice of natural products, useful for health and body care, genuine Sabina olive oil, soaps made with herbs, extracts of flowers, essential oils, honey, fruit marmalades and liqueurs, all of natural origin. 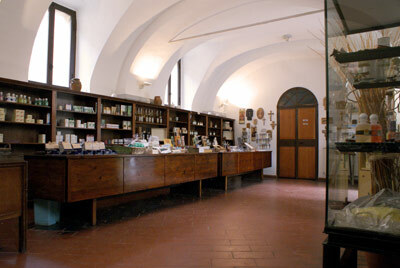 At the herbalist's shop It's possibile to book guided tours of the Abbey of Farfa.